Americans today would have a hard time recognizing the all-out war effort citizens of the United States made during World War II. The idea of government dictating what and how much big business could produce, restricting the use of civilian products available to the public, and the mobilization of civilians in a war effort are all things that we just haven't faced in the generations since. During World War II, these civilians were putting their lives on the line to hunt submarines. The Civil Air Patrol was born of that mobilization. Civilian pilots and their resources were marshaled by the military to support the war effort here at home, even before the war began. Some 200,000 men and women of all races served in CAP in every state during World War II. After Nazi submarines sunk more than 400 ships off the U.S. Atlantic coast in the first six months, these civilian pilots took to the skies in their private planes to help hunt them down. 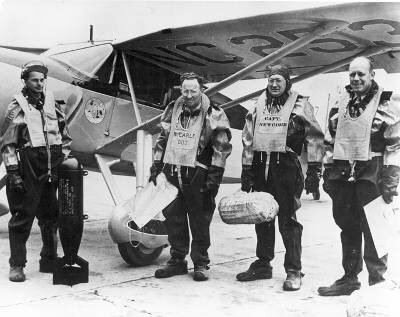 Civil Air Patrol pilots who were forced to bail out of their planes into the sometimes icy water below joined an exclusive club: the Duck Club. 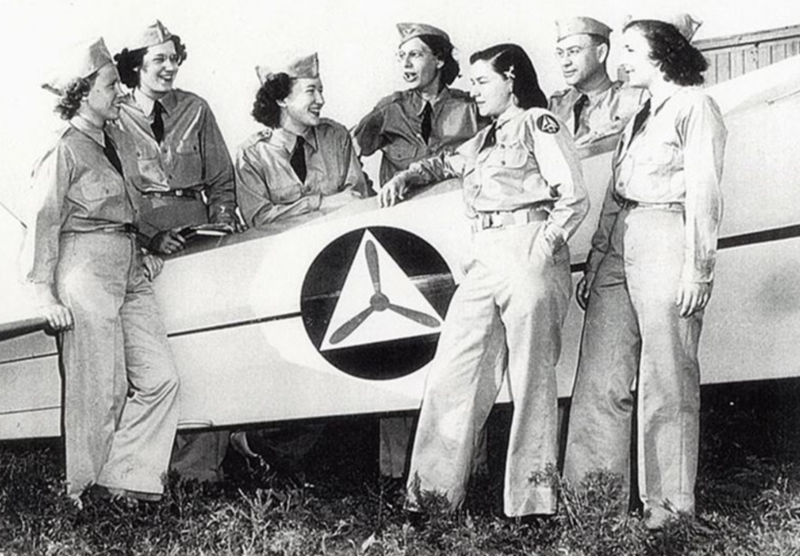 The Civil Air Patrol was open to all races and genders from the get-go. All you needed was a radio and a plane you could fly. The single-engine civilian aircraft flown by CAP volunteers in those days weren't nearly as reliable as ones they depend on these days. CAP pilots would fly up to 50 miles off the U.S. coast, looking for enemy submarines in planes with engines that could quit at any given moment. Maybe this isn't so bad for the pilot if their mission takes them into the Gulf of Mexico, but in the North Atlantic, having to bail could be deadly. Even wearing their rubber "zoot suits," designed to protect them from frigid northern waters, was no guarantee of survival in case of a bail out. These civilian pilots lost 59 of their own during the course of the war — 26 of whom were simply lost at sea. Maybe they survived the elements, maybe they didn't. Being adrift in the middle of nowhere in the 1940s was tantamount to a death sentence. Protection from the elements did these pilots no good if they were never found. For those who bailed out, each CAP station had amphibian planes who would attempt to come to the rescue. But even those were susceptible to being lost at sea – and some were. If a CAP pilot was successfully recovered after a bailout, he became a member of "The Duck Club," those who were forced to ditch their planes by taking a dip in the ocean. 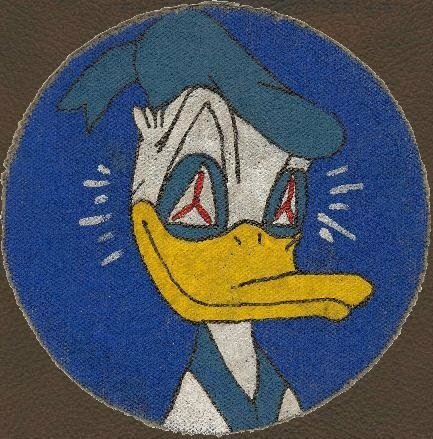 CAP pilots who joined this elite club earned a special badge: a patch featuring Donald Duck, his eyes crossed by the red propellers that symbolized the Civil Air Patrol. The Congressional Gold Medal the CAP received came much later, signed not by President Roosevelt, but President Obama. Their recognition came decades too late. The Civil Air Patrol "Duck Club" Patch. The history of the Civil Air Patrol is such a big deal because these were volunteers who put their life and property on the line to protect the liberties of their fellow citizens. They would not receive the GI Bill benefits received by veterans who fought overseas, despite finding Nazi subs operating in American water, rescuing airmen adrift at sea, reporting mines, distressed vessels, escorting convoys, and, in some cases, sacrificing their lives. That's just the history of the CAP and the tip of the iceberg. Their mission also extended along the southern border, in the wild forests, and elsewhere. Today, the Civil Air Patrol is an auxiliary of the United States Air Force, and an underrated, oft-forgotten total force partner in U.S. air defense. More than 60,000 civilian airmen still dedicate their time, energy, expertise, money, and personal property to the defense of the U.S. homeland and supporting aerospace education.